Bringing a dog into your life can be deeply rewarding; filling your home with cuddly, chaotic canine love. However, this decision shouldn’t be taken on a whim. After all, no matter how cute its waggy tail may be, a new dog will always bring along plenty of responsibility, needs and poop. Unfortunately, far too many people adopt a puppy as a surprise Christmas gift, only to lose interest by the time the shiny red bow has been chewed to pieces. In many sad cases, a gifted dog will even be abandoned after the Christmas season. 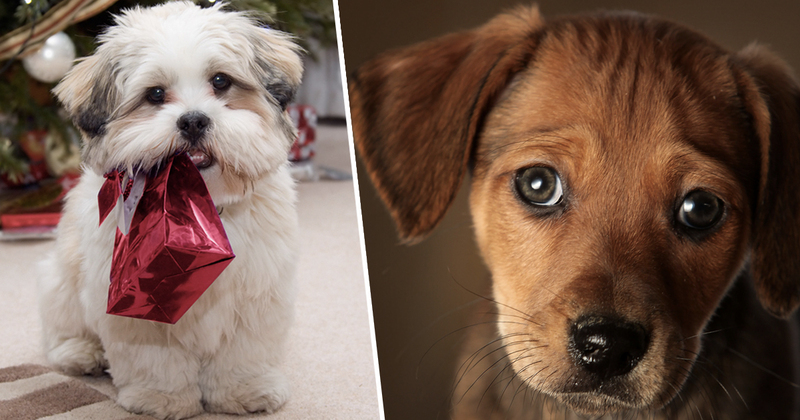 Germany is now addressing this potentially cruel aspect of gifting a puppy by placing a temporary ban on pet adoptions in the run up to the big day itself. It’s hoped this initiative will help cut down the number of dogs who will be dumped once the tinsel is back up in the loft; curtailing those who pick up a puppy as an ‘impulse buy’. As reported by the BBC, dozens of shelters across Germany have revealed there will be no animal adoptions over the Christmas season. Many shelters will still be able to arrange viewings, however prospective owners should be prepared to come back in the new year to pick up their furry friend after they have given it some serious thought. The decision to keep an animal must not be taken lightly – the whole family must be involved in the decision-making process. It was once the norm for parents to surprise their kids with a new puppy under the tree. However, nowadays families would be expected to have prior conversations with youngsters about the responsibilities a new dog would entail. Christmas and New Year are generally times of much celebration, rowdiness and excitement for families, with constant upheaval going on in the household and the normal routine of day-to-day life suspended. This is not the appropriate environment into which to bring a new pet, and will almost certainly have a detrimental effect on how the animal settles into the household and gets on in his new home in the future. It is a bad idea to buy or adopt a pet at any time when you know there is going to be a significant change made to the household routine before the animal has had a chance to settle in fully. Buying or adopting a dog in the run up to Christmas or at Christmas itself is a particularly bad idea, due to the foreseen upheaval and change in the atmosphere within the home that your dog will be subjected to before he even has a chance to get used to being with you at all. Sounds like Germany may well have the right idea. Will the UK be taking note for next year?